Board Certified in Physical Medicine and Rehabilitation (Physiatry) as well as Sports Medicine, Dr. Agesen did his fellowship training in Sports Medicine, Electrodiagnostics and Epidural injection procedures. He worked at the Kessler Institute for Rehabilitation in West Orange, New Jersey and then joined Associates in Rehabilitation Medicine for four years. Along with Dr. Malanga and Dr. Bowen, he started New Jersey Sports Medicine LLC. Dr. Agesen’s clinical interests include sports medicine, electrodiagnostics and treatment of acute and chronic tendon, ligament, back and joint disorders. 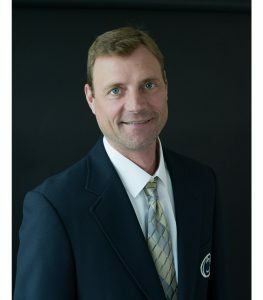 He, along with his partners, is the team physician for local high schools and universities. He enjoys treating competitive athletes and sports enthusiasts of all ages and levels. Thomas Agesen, MD is currently seeing patients through our Southern Affiliate, Dr. Daniel E. Fox at The Center for Orthopedics and Sports Medicine, in Toms River on Thursdays. To schedule with Dr. Agesen at that location, please call The Center for Orthopedics and Sports Medicine at 732-505-8844. They are located at 111 West Water Street, Toms River, NJ 08752. Results may vary based on individual’s overall health, lifestyle, severity of the condition being treated and responses are not guaranteed. The information on this site is solely for purposes of general patient education, and may not be relied upon as a substitute for professional medical care. Consult your own physician for evaluation and treatment of your specific condition. Copyright © 2018 NJRI. All rights reserved.